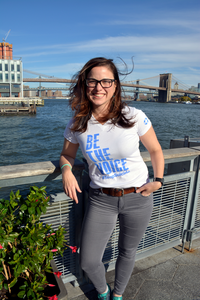 Picture a classic white V-neck T-shirt with really pretty light blue lettering. 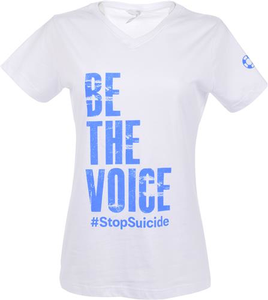 Now picture that lettering as reading, “Be the Voice, #StopSuicide,” on the front, and our new logo on the left sleeve. 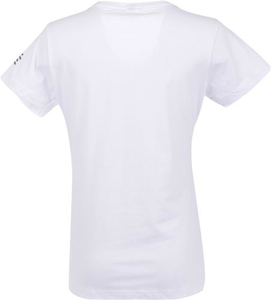 Now picture this women’s White Be the Voice V-Neck in your closet!